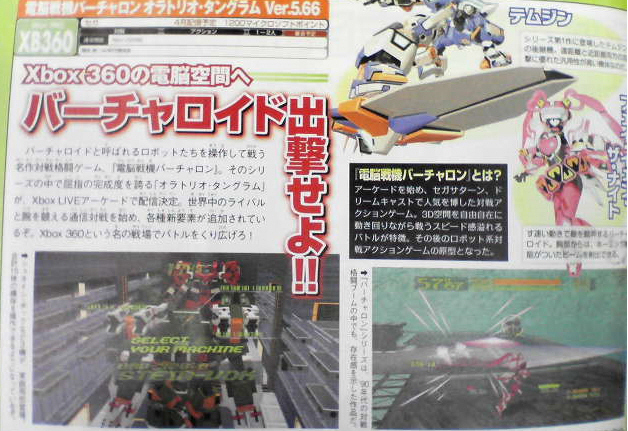 Cyber Troopers Virtual On 2: Oratorio Tangram has been revealed as coming to Xbox Live Arcade according to the latest issue of Japanese gaming magazine Famitsu. 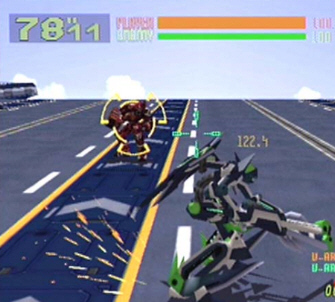 The game is a mech-battling title that was originally released for arcades but then later released in both America and Japan for the Sega Dreamcast. The Xbox Live Arcade version will be a revised port of the 5.66 revision and will be hitting Japan for a price of 1200 Microsoft Points (or $15). Although it hasn’t been confirmed for released outside of Japan, it is likely due to the Australian OFLC ratings board rating the title, which is often an indication that it is targeted for future release.